Arka aynası mevcuttur. Faturası bulunmamaktadır. ATI Hybrid CrossFireX™ technology is a unique hybrid multi-GPU technology. It takes your gaming experience to the next level boosting PC performance by enabling the chipset’s integrated graphics processor and a discrete GPU to operate simultaneously with combined output for blisteringly-fast frame rates unleashing the graphics performance (Windows Vista® OS only). This motherboard supports AMD® Socket AM2+ multi-core processors. It features dual-channel DDR2 1066 memory support, data transfer rate up to 5200MT/s via HyperTransport™ 3.0 based system bus, and AMD® Cool ´n´ QuietTM Technology. To attain top performance, ASUS engineers have successfully unleashed DDR2 1200(O.C.) MHz to meet the higher bandwidth requirements of the latest operation system, 3D graphics, multimedia, and Internet applications. *Ensure that you download and update to the latest BIOS at www.asus.com and purchase the memory modules listed in the ASUS official memory Qualified Vendors Lists (QVL). 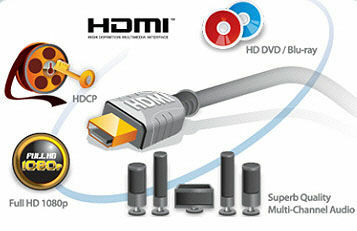 High-Definition Multimedia Interface (HDMI) is a set of digital video standards that delivers multi-channel audio and uncompressed digital video for full HD 1080p visuals through through a single cable. Supporting HDCP copy protection such as HD DVD and Blu-ray Discs, HDMI provides you with the highest-quality home theater experience. The ASUS EPU (Energy Processing Unit) provides total system power management by detecting current PC loadings and intelligently moderating power in real-time. It automatically provides the most appropriate power usage for the CPU, VGA card, hard drives, and CPU/chassis fans- helping save power and money! With AI Nap, the system can continue running at minimum power and noise when you are temporarily away. To wake the system and return to the OS environment, simply click the mouse or press a key. Express Gate™ is an ASUS exclusive OS that provides you with quick access to the Internet and key applications before entering Windows®. The onboard 8-channel HD audio (High Definition Audio, previously codenamed Azalia) CODEC enables high-quality 192KHz/24-bit audio output, jack-sensing feature, retasking functions and multi-streaming technology that simultaneously sends different audio streams to different destinations. You can now talk to your partners on the headphone while playing a multi-channel network games. All of these are done on one computer.